Described as an Enrichment Study for the Hungry Mind, this curriculum is suitable for all ages. Experience learning about Shakespeare's world and be guided to an understanding of the gift that is his life's work... and its influence in your own world today. Cathy Duffy, best known as a curriculum specialist, has reviewed our flagship curriculum - “Why Shakespeare?” Indeed! : An Enrichment Study for the Hungry Mind. We are very grateful for Ms. Duffy’s well-considered and thorough review, and her many very helpful comments for her readers. Enjoy reading her review here. Resources for “Why Shakespeare?” Indeed! Throughout the Book you will be guided to online and offline sources for further information specific to the subject being covered in each chapter... films, essays, videos, poetry, art, stories, crafts, theatre. Some resources have active links in the pdf version of the Book, and are also referenced within the information presented in the book. All of the referenced materials and links are also available on this website. Upon your purchase of "Why Shakespeare? Indeed!" a password-enabled portal will be made available to you. This section includes many resources in support of each chapter. These include lists of movies plus links to videos, articles, and activities that are often updated. It will become a valuable additional resource to you for your enrichment experience. NOW AVAILABLE in our Shop at Shakeshops! Our companion book Why Shakespeare for Kids? Indeed! is written especially for children in grades K-5. This book contains some of the elementary ideas first presented in the complete Why Shakespeare? Indeed! written for ages 5-105. Some concepts are expounded on and geared toward our youthful audience. 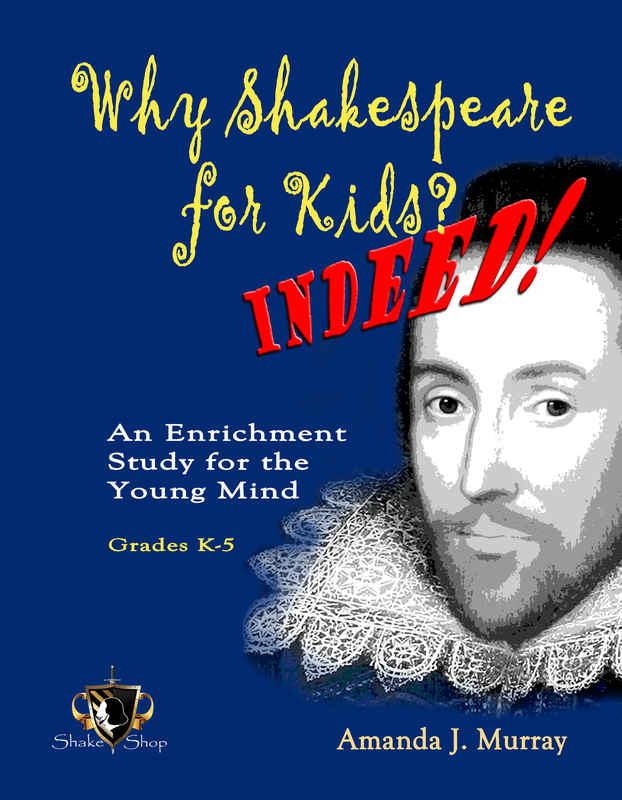 The Lapbook Kits are designed to enhance learning with the Why Shakespeare? Indeed! book series, but they stand alone as interesting, artistic and fun creative projects. 8 year old child who loves Shakespeare. Alexis performs William Shakespeare's sonnet 18.